Be Prepared For Another Upcoming Print Issue! Simran Ghotra The dangers of climate change and other environmental issues are beginning to make an impact on the way people live their lives. More people are choosing hybrid cars, supporting energy efficiency, as they see the need for major reforms within industries that promote deforestation and pollution. The growing mountain of studies confirming the dangers and causes of environmental damage is causing a shift toward renewable energy. 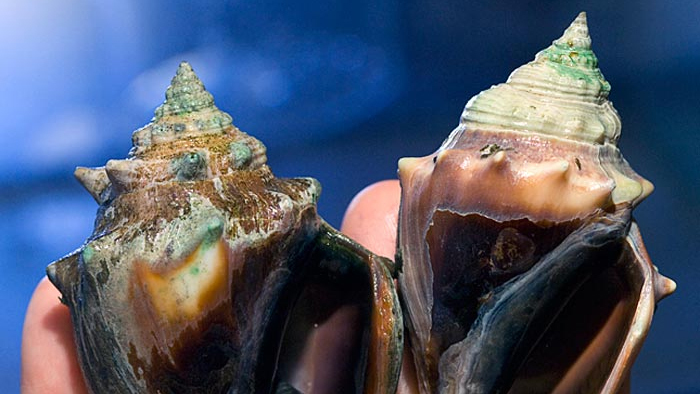 Perhaps one of the lesser know, yet incredibly potent facets of this damage is ocean acidification. Ocean acidification occurs when there is a major fluctuation in the pH level, a measure of how acidic the water is for an extended period of time. At the moment, our oceans are becoming more acidic due to a variety of factors. The main cause of acidification is the rising level of atmospheric carbon dioxide. As more and more carbon dioxide is emitted into the air, it falls to the ocean, and is absorbed by the surface of the water. It can also be deposited on icebergs, which in turn melt into the ocean. The amount of carbon dioxide within the atmosphere today has reached a new high, 400 ppm or parts per million, a number that has increased by an astounding thirty percent since the Industrial Revolution, the development factories and railroads, etc. These technological benefits, while certainly beneficial for humanity, were built on the back of fossil fuels, and have reaped the environment in return. Though humans remain unaffected, at the moment, by this, marine biodiversity has taken a heavy hit. It is forcing species that depend on protective shells to adapt or face extinction, as the very environment they live in eroded their sole source of protection. Additionally coral reefs, built with calcium carbonate, are endangered by this change. Lastly and most severely perhaps, the lower specimen of the food chain may suffer and no longer be able to survive under the new and severe conditions, and therefore may die off, causing a depletion in the larger marine life and wreaking havoc on the sensitive nature of the food chain. Like many of the environmental problems facing us today, ocean acidification one that can be reduced and/or mollified. Through many of the steps humans may take to prevent other environmental issues ocean acidification can be stopped through more energy conservative and efficient methods of living in the daily and higher level of human life. Slowing the process involves making an effort to do things such as the lessening the massive burning of fossil fuels, recycling, and using less energy as an individual within the house or office. The effects can be reversed through geoengineering processes such as Carbon Dioxide Removal (CDR) and solar radiation management. It would take seven centuries to put the pH and CO2 levels in the ocean to pre Industrial Revolution levels and there is no process that would accelerate the extraction of the carbon dioxide.